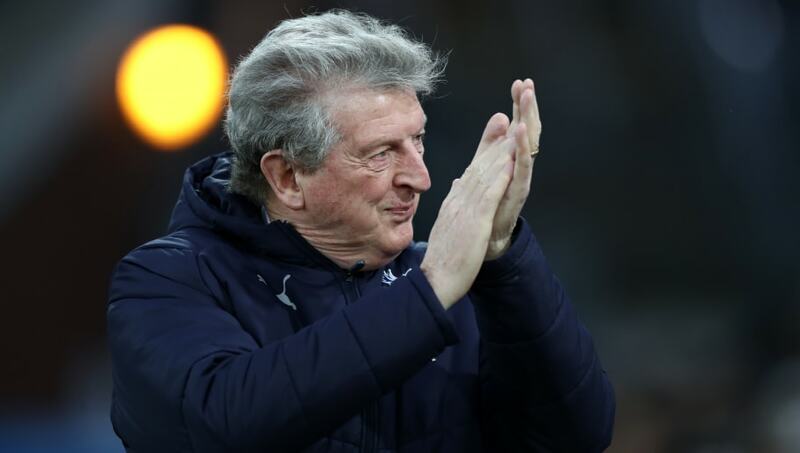 Crystal Palace manager Roy Hodgson branded Sunday as a 'good news day' after several stand-out performances saw his Eagles knock Spurs out of the FA Cup to progress to the fifth round. The south London side took the lead early on through Connor Wickham and compounded further misery on their friends from the north of the city as Andros Townsend converted from the spot to give the hosts an unassailable two goal lead. After the game, Hodgson was quick to highlight the positives that might have gone under the radar following such a remarkable result, with particular focus on the bounce-back ability of 39-year-old Julian Speroni. “Today was a good news day for Crystal Palace." “Today was a good news day for Crystal Palace with Speroni breaking the record for clean sheets which is fantastic, especially after last week when he had to shoulder some of the blame for the goals we conceded up at Anfield," Hodgson told the ​official club website. "For him to come back and do what he did today was a real good news story, and for Connor [Wickham] to fight his way back to start a game after all that time and crown it with a goal was another piece of good news for the club and the fans. The former England manager was also full of praise for long-term absentee Wickham, who made his first FA Cup appearance on Sunday since featuring in the final three years ago. “He’s worked hard to get where he is and it’s good that he’s had the chance today", Hodgson continued. "Had it been a league game then he wouldn’t have had that chance because Jordan Ayew would have played in the centre forward position, but I decided to rest Jordan so Connor could play and he took the opportunity which is very credible and I’m pleased about. “It has been two-and-a-quarter years [since his last start] and for him to play 70 minutes and get a goal, things can’t get much better than that for him." ​Palace's focus for the meantime turns back to the Premier League where they have to contend with a crucial run of games and Hodgson is hopeful his players can emulate Sunday's performance in the coming weeks.